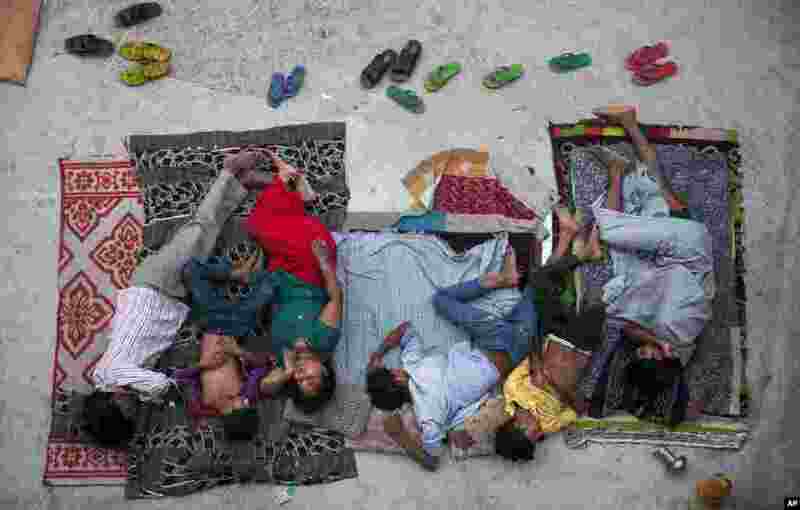 1 A family sleeps on the roof of a house to beat the heat in New Delhi, India. In neighborhoods with irregular electric supply, people often sleep outside at night. 2 A man wearing a mask depicting FIFA President Sepp Blatter holding Swiss Francs is seen during a protest held in front of the Hallenstadium, where the 65th FIFA Congress took place in Zurich. 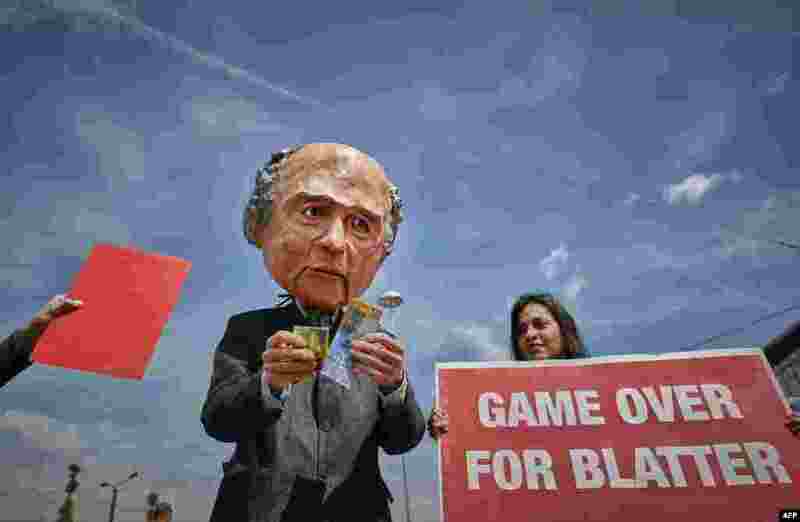 Blatter was re-elected Friday to a fifth term amid global corruption investigations into the football governing body. 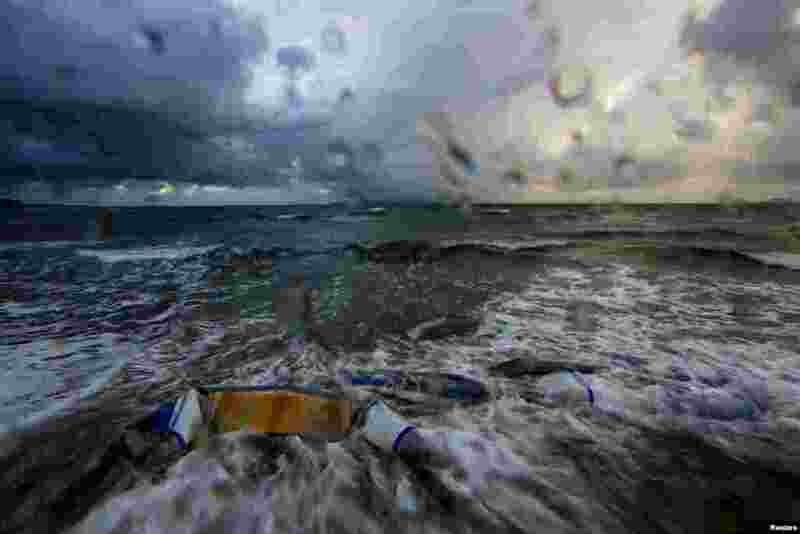 3 The remains of a dinghy, used by immigrants, is seen during a storm in Kos island, Greece. According to local media, an average of over 200 immigrants have arrived in Kos every day in the last two months. 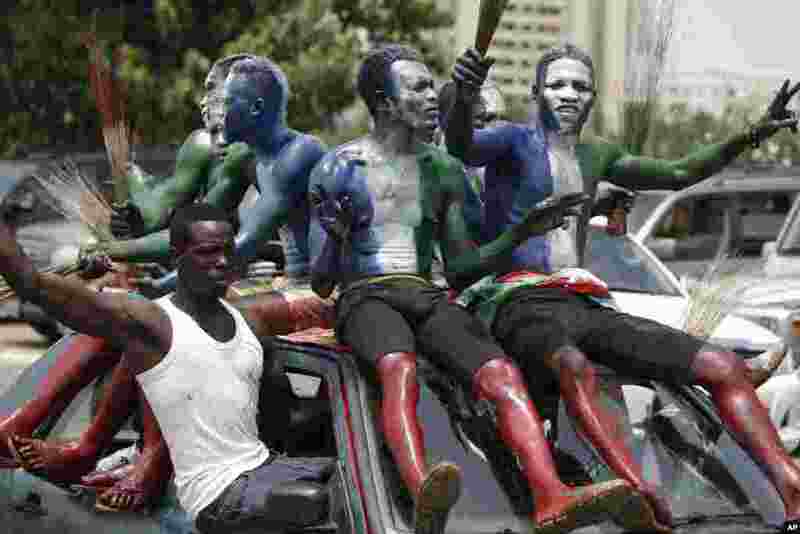 4 Supporters of new Nigerian President Muhammadu Buhari celebrate after his inauguration in Abuja. Nigerians celebrated their newly reinforced democracy, dancing and singing songs and praises of Buhari, the first candidate to beat a sitting president at the polls.